Epilepsy, a neurological disorder that affects about 5 million people in the U.S., can be disabling if left untreated – and it poses special complications for pregnant women. That’s why Annapoorna Bhat, MD, an assistant professor in the UNM Department of Neurology, has launched a monthly clinic to help expectant mothers manage their epilepsy symptoms and deliver healthy babies. Epilepsy is a brain condition in which a person has unprovoked seizures, Bhat says. There are different types of seizures, including convulsive seizures and conditions in which someone might lose awareness without completely losing consciousness. Focal seizures, which originate in a specific area of the brain, may result from a stroke, a tumor or a developmental abnormality. Generalized seizures, which ripple across the brain, are genetically inherited. “It’s hard to predict how it will be passed on,” Bhat says. Seizures are often triggered by insufficient sleep or stress, she says. Drugs and alcohol may play a role, and for some they are triggered by external stimuli, such as flashing lights. Neurologists have a number of drugs available that can prevent the recurrence of epilepsy symptoms – and the newer ones are safe for use by pregnant women, Bhat said. 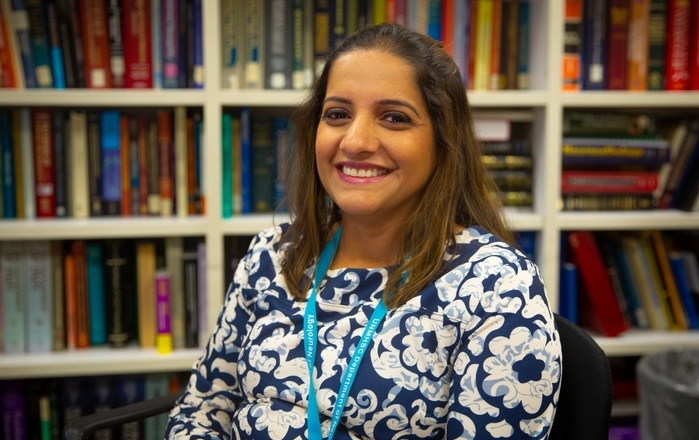 Epilepsy patients typically see their specialist every three to four months, but her clinic ensures that mothers-to-be are seen every month during their pregnancy. “The biggest thing in epilepsy is getting to the right medication and putting them on the right dose,” Bhat says. Doctors prefer to use the minimum dose needed to get a response, but she notes that in pregnancy women gain weight and retain fluid, so higher dosages may be needed to be effective.